I would like to see a balance between business interests and the interests of the citizens of Raleigh. Our city needs to market more to developers who are interested in bringing more affordable housing to our area so that teachers, first responders and city employees can afford to live in the place where they serve. I would like to be part of the team that would talk to developers and show them the win-win situation that can exist here. I would encourage and support innovative incentives for developers, along with minority and women-owned small businesses to help them thrive along with the big businesses of Raleigh. Energy needs in our city will continue to grow and I would like to see a more aggressive push towards showing businesses the huge cost savings of adopting more green practices in our city. Renewable energy incentives for businesses need to be increased. There needs to be even more focus on repurposing unused/underused buildings and land. Our city will continue to grow outward, but there are numerous areas inside the beltline that are prime areas for growth that will bring people back into the heart of the city. Increased mixed-use development is a need in our city to reduce the amount of travel people would need to get to the grocery store, restaurants and services. While all this growth is happening around us, it is vitally important that we protect historic structures and areas around Raleigh. 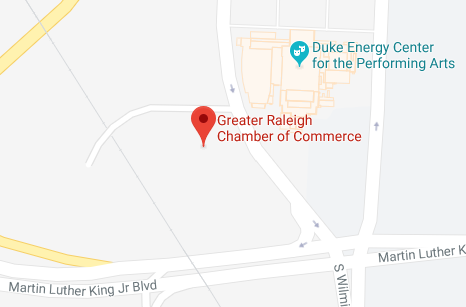 While the UDO addresses this, I want to see even more focus on maintaining the character of Raleigh as older homes are demolished and new ones are built. More affordable housing regulations may be needed to make sure teachers, first responders and others serving us can afford to live here. Another area not mentioned very often are landscaping ordinances for new developments. Often the same old boring trees, bushes and pine straw are installed. It is time to allow more creative landscaping for developers and give them incentives to do just that. Raleigh needs more character that will result in more unique people and businesses that will come here and be in awe of our city. Increasing infrastructure and personnel funding will quite simply, increase our quality of life and economic growth, if managed properly. Often times, people choose not to visit a business across town because it takes too long and the traffic is less than desireable. Growth is rapidly happening all around us and the need to create light rail, more sidewalks, bike lanes and improved roads is high. If a person can navigate the city quickly and easy, they will save money and valuable time. Top-notch infrastructure and quality of life go hand and hand. We need to join other large cities in unifying our city or we risk people only sticking to their one area and limiting economic growth. Budget matters are no exact science and it is important to be flexible and careful when cutting spending that may yield revenue or benefits not seen immediately. Boxing the question into 2 areas plus or minus seems to not address the issues of our city adequately. Transportation issues will need increased spending for many years to come. Other cities are turning to electric or hybrid buses, Raleigh needs to do the same and replace older, non-efficient vehicles. In the long run, this would be both an increased expense and a reduced expense. There would be the intial cost of new vehicles and the reduced cost of fuel. Denver, for example is predicted to decrease fuel costs by $100,000 over 12 years for EACH bus replaced with an all-electic model. They have already replaced numerous buses. Smog and noise have been reduced and more people use them. Other increases in transportation needs would be the installation of light rail, improved roads, more defined bike lanes and sidewalks. I think we need more art in public places to give Raleigh more character. Unique, innovative pieces that people could interact with would be a destination for some people. I envision increased funds for art that will yield more visitors to the area, resulting in more people going to shops and resturants. Boring, brick buildings could use more murals. Teachers, first responders and city workers are finally getting increased pay and I would continue to support and fight for keeping these important people on an upward path. Increasing the pay of these important people will keep the best people here, yielding improved services, resulting in numerous benefits. Raleigh is still mostly a car city. I was born here and when I was a kid, it was easier to get around by car. Now, we are at least 2 decades past the need for other options such as light rail, more sidewalks, more bike lanes, a more efficient bus system that even car owners will use and improved roads. Widening roads is only one part of the solution and not a long term one. The city is not as connected as it once was and risks alienating people into different areas if growth is not managed. ​Voters need to realize that rapid growth brings the need for increased funding for infrastructure, personnel and city services. But the voters need to also realize that there is a huge benefit to a city that is easy to navigate, fun and full of life. Ecomomic growth will continue to soar if the voters are willing to invest in the future of Raleigh.